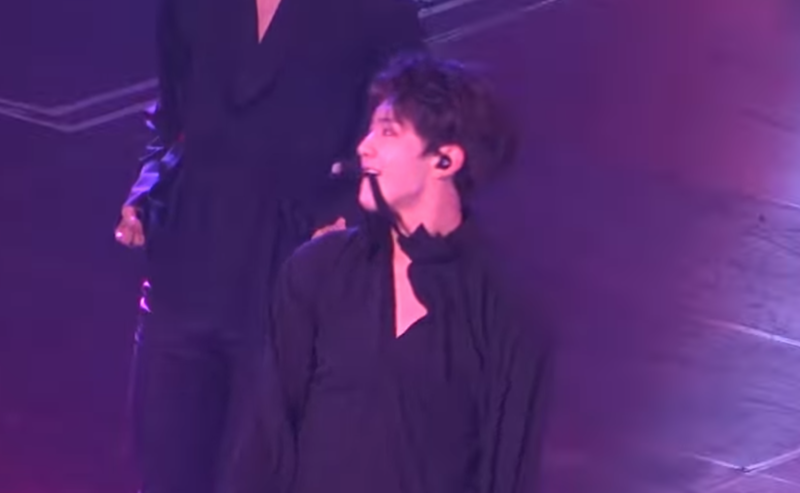 Hoshi fully utilized his cloth choker on stage. SEVENTEEN had their concert 'Carat Land 2' in early February this year and every single stage and performance went through an upgrade and the boys definitely showed a stronger and more matured charm for their stages at this concert. Among the performance, one of the highlights that any SEVENTEEN fans could point out would surely be this one move Hoshi did. During their stage for 'Lilili Yabbay,' the boys were in light but black attires that gave off a sense of softness that made the whole aura of the stage even sexier. Fans thought it was fatal enough until Hoshi decided to add more to that. At a move where the boys would 'pop' up, Hoshi was seen biting onto his cloth choker and had a look that would literally make any Carat faint on the spot. Watch the moment at the 2:55 mark in the video above!